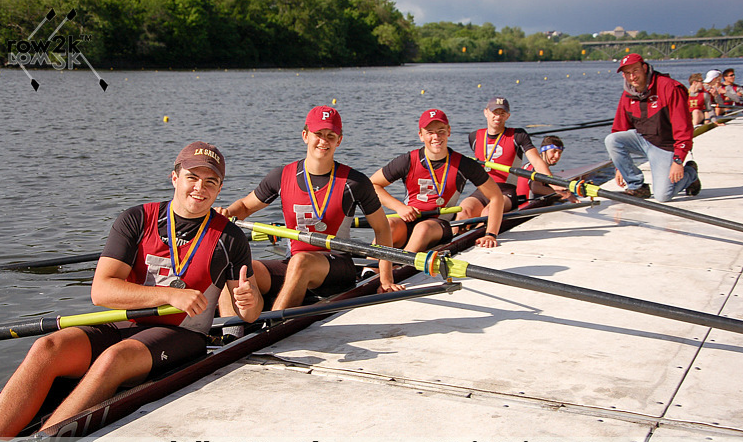 Welcome to Saint Peter’s Prep Rowing! You have decided to become part of a vibrant, hard working, and dedicated group of athletes, parents, coaches, and other supporters who have put rowing at the center of the recreational part of their lives. Crew requires rowers to be dependable and responsible in order to maintain a consistent, safe environment for practice, competitive success and personal growth. 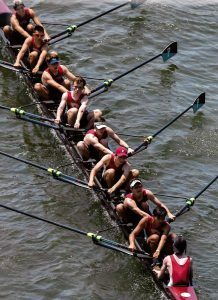 Being a member of a crew team, or any team, carries with it a responsibility to your teammates and your coaches to strive for your athletic best, to demonstrate good sportsmanship, to behave as a role model, participate in crew community activities, and to attend all practice sessions and competitions. Our Team was founded in the spring of 2010 out of the Passaic River Rowing Association(PRRA) Boathouse in Lyndhurst, NJ. We compete against high school rowing programs from all over the tri-state area as well as teams from Maryland and Pennsylvania. The team currently consists of 65 members and is still growing. Before a rower can participate, he must complete the following steps; must pass the swim test and watch a safety training video. Practice runs 6 days a week during the Fall and Spring seasons with indoor training during the winter on Prep’s Rowing machines. In its time at Prep, Crew has established a consistent presence on the medal stand at both the NJ State Championship and National Championship with medals in 2011, 2013, 2014, 2015, and 2017 at NJ Sates and medals in 2013 and 2014 at the National Championship.